Our fully integrated preschool English Programme. Find out more. Our location: 140 East Coast Road. 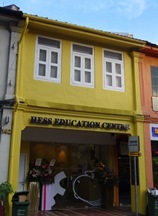 (just east of Katong I12 mall) The same quality programmes, education and fun in a new location. AMAZING! Creative Writing guides our primary students through an exciting range of creative writing styles while enriching their vocabulary and reinforcing the grammar foundation. Students learn how to write confidently, expressively and accurately. They will also be enriched in their vocabulary and grammar. Our course materials take students beyond the Singapore Ministry of Education's learning expectations. Our students develop brainstorming, editing, grammar and mind mapping skills to become strong and creative writers. The structure and content of written works are reinforced and strengthened in a positive learning environment, which encourages students to express themselves confidently and creatively. 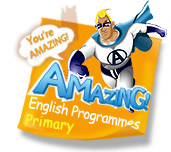 Advanced AMAZING! Creative Writing for Primary 5 and Primary 6 students. AMAZING! Creative Writing students are encouraged to think creatively and to use their imagination. Group work exposes students to different ideas, opinions and writing styles helps develop creative thinking. The ability to express opinions and receive feedback from classmates helps students become proficient creative writers.